BOSS Orange Copenhagen Watch is rated 5.0 out of 5 by 1. 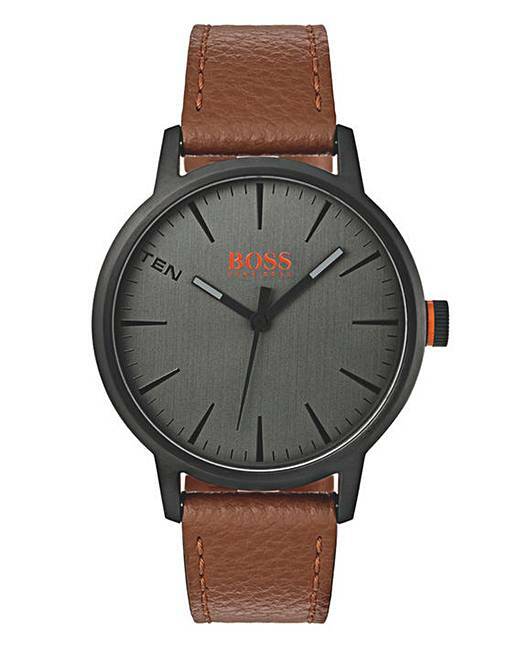 BOSS Orange Copenhagen gents watch. Features include: 40mm wide black ion-plated steel case, brown genuine leather strap, grey dial and water resistant to 50 metres.